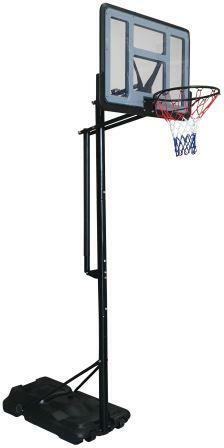 High quality portable and adjustable basketball system. 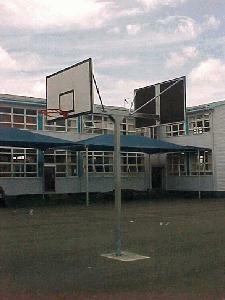 Set includes nylon net, steel hoop and adjustable pole, shatterproof PC backboard with moulded PE base with wheels. Sturdy moulded base can be filled with sand or water for stability. 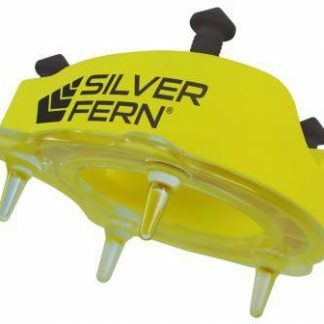 Has two heavy duty plastic wheels for easy moving. 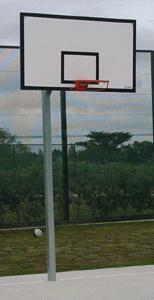 Backboard dimensions – 110 x 75cm. 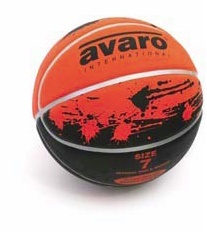 Base dimensions – 115 x 75 x 20cm. 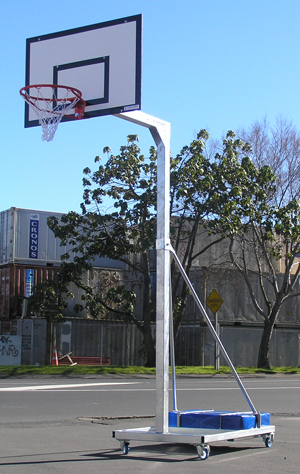 Adjustable pole height – 2.3m to 3.05m. Bulky item – please email for a freight quote. May be collected to save freight. 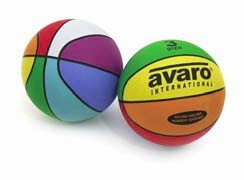 This basketball system is imported from overseas. 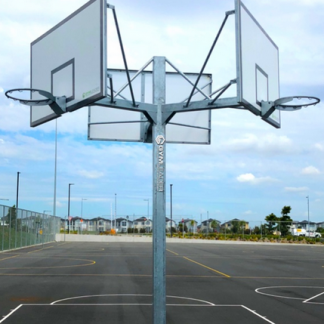 To view other basketball tower options, click here.